Garth’s approach to systems design leads him to generate advanced solutions to audio and video challenges. His love for performance combined with his depth in design experience help him provide clients with intuitive, integrated systems. 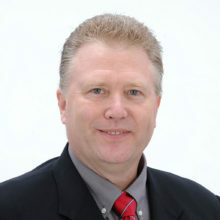 Garth is located in the Houston, Texas office and is lead audio/video designer for Jaffe Holden. With nearly 30 years of experience, Garth’s depth of knowledge encompasses a broad range of spaces including presentation theaters, sports stadiums, theme park attractions, corporate facilities, and major performing arts centers. He has designed audio, lighting, video, conferencing, projection, control and digital signage systems for clients in Texas and across the country. In addition to this experience, Garth is CTS certified by InfoComm. Garth received his education in theatrical design at California State Polytechnic University. Prior to joining Jaffe Holden, Garth was a senior systems designer responsible for bid specifications and design-build for large-scale projects incorporating audio/video, lighting, digital signage, network and control systems. Garth has served as sound engineer, resident designer, and composer for theaters including the Mark Taper Forum, South Coast Repertory, and the American Conservatory Theater. Extensive involvement in the performance industry provides Garth with a deep understanding of how to design integrated systems for end-users.